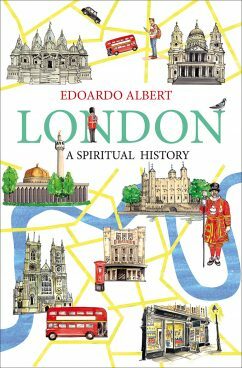 Edoardo Albert is a born Londoner, son of migrants – and the city has served as backdrop and participant to his religious pilgrimage, as it has for countless others before him. In these pages, Edoardo takes us down the backstreets of the city, tracing a myriad of spiritual journeys, from the early days of paganism, through the dominance of Christianity to the multicultural worship scene of today. So Boudicca is here alongside her Roman foes, and so is Bradlaugh, battling to take his seat as the first ever atheist MP. Through the fires of the Reformation, Thomas Cromwell looks on with a pragmatic eye. William Blake has visions of angels on Peckham Rye and secret occult orders are formed. Woven throughout is Edoardo’s own quest for spiritual truth. Written with an enticing mixture of ease, humour and detail, this is an enthralling read for all who are beguiled by this great city. “The style blends quirky anecdotes with wild generalisations, but all is forgiven as it is such an entertaining read.” Church Times.